Once you’ve packed most of your house, you can tackle last minute items like those in the bedroom. The bed is particularly tricky and time-consuming piece of furniture to pack. Below are some steps addressing this task. First remove all blankets, pillows, and pillowcases from the mattress. Be sure to wash and dry before neatly folding, to ensure you have clean bedding when you go to unpack in your new home. Ideally, you should pack these in plastic comforter covers to avoid any damage during the move. You might need helping hands for this step since beds and bed frames are heavy and prone to damage if mishandled. First, lift the mattress and box spring from the bed frame and place them aside. You will pack both these items separately. Make sure you wrap them properly to avoid damage. 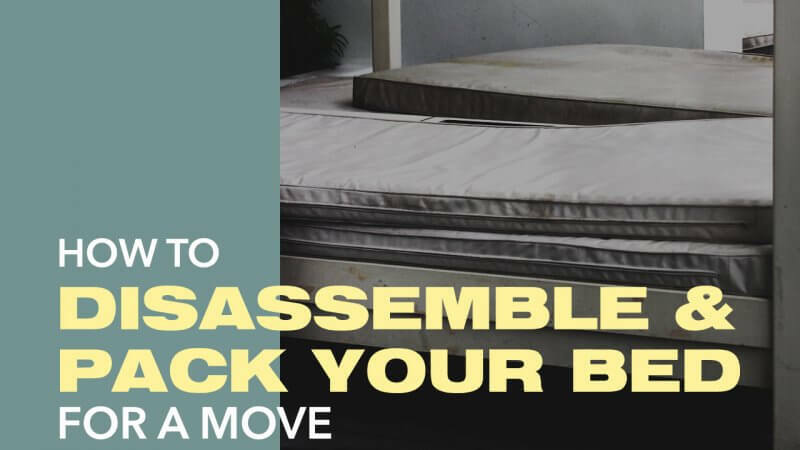 Most professional movers recommend using a plastic mattress bag or cardboard mattress box to keep your mattress and box spring from getting scuffed, torn, or dirty during the move. Use a screwdriver or electric screwdriver, to unscrew the footboard and headboard away from the main frame of the bed frame and separate them. Then, begin to carefully unscrew each screw or bolt that is holding the headboard and footboard to the frame of the bed. You need a partner to help you hold the pieces as you start to separate the bed frame to prevent the pieces from breaking or crashing into a wall. Deposit all the screws, bolts, and small pieces in a plastic bag and pack it with the bed or bedroom supplies. Re-finding the specific screws that keep your bed together will be frustrating if you do not keep them organized. It is best if you try to label the bags to identify the screws and bolts that hold together different parts of the bed. You can attach these plastic baggies to the bedframe using movers’ wrap. Now you are done dissembling the bed and bed frame. Before you celebrate, it is important to keep some last-minute packing and wrapping tips in mind. You will want to pack your mattress and bedding separately. Additionally, you can wrap the mattress in packing wrap or moving blankets to protect it while it’s on the truck if you forego the mattress box. Also, keep in mind to protect the headboard and footboard with moving blankets and do not use bubble-wrap especially if your bed frame is made of wood; plastic can cause damage when in direct contact with wood. Lastly, make sure everything you wrap is secured tightly with packing tape. If this all seems too daunting, remember you can always call and hire a local moving service. 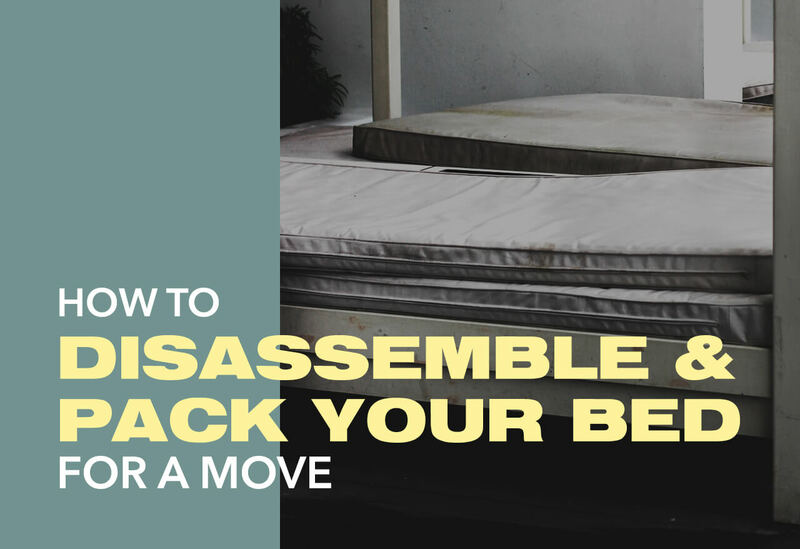 Professionals are trained to disassemble and pack your bed up. However, if you want additional tips to do it yourself, click here.